Every high school student planning to attend college will write a personal statement. This personal statement is submitted along with your college admissions application. Personal statements are the third thing colleges look at during admission after high school GPA and ACT/SAT scores. Personal statements generally require you to describe yourself, your goals, and how you are a good fit for that college or university. 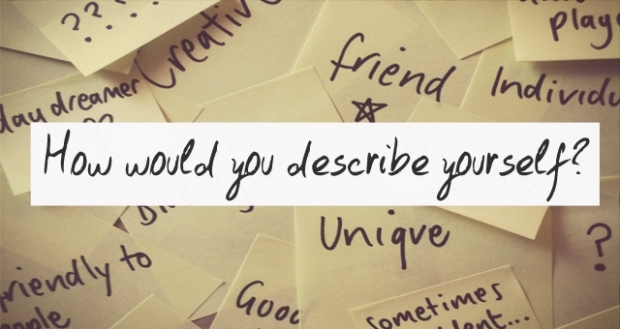 Here are 7 words you should never use to describe yourself in a personal statement. Never take credit for things that you have not done yet. Don’t say that you are a motivated student or a motivated learner. Lots of students write this on their personal statement and take credit for things that they are about to do in the future. You haven’t shown them that are a motivated student yet. This word has lost its impact on college essays because almost half of the students mention this word. It is too common. If you are truly creative, share an example from your past that shows the colleges how you have been creative. Don’t use irrelevant hobbies to convince them you are passionate. Most students are passionate about something such as Harry Potter, Super Bowl, Guitar, Music etc. Show them something different. Telling them your grades, extracurricular activities, and ACT/SAT scores doesn’t make you unique. You are just like every other student applying when you toss this term for things that most students are doing. Instead, spend time describing one or two extracurricular activities in depth. This will help you more than listing several extracurricular activities as a list. This is the worst thing you can put on a personal statement. You calling yourself smart shows that you are not humble and perhaps that you think more of yourself than others. Your recommendation letters should have smart on it not your personal statement. If you haven’t worked in a team before, don’t put this on your personal statement. Athletes are putting this in their personal statement and that is fine because they have experience working with others on their team. Others should not put this because group presentation or a paper for a high school class really doesn’t show true collaboration. You did it because your teacher told you so and most of the time only one or two members actually end up doing the work for the entire group. About 85 to 90% of the students use this word. Pick a different adjective. This is too common to set you apart from the rest of the crowd. Phoenix Tutoring & Test Prep provides writing tutoring along with editing and proofreading services to students all over United States. If you need help with admission to college, we would love to guide you through the process. You can also visit www.phxtutoring.com for more information and to purchase tutoring lessons with us.